I have heard a lot about Coldingham Loch from boatman on the Tweed who recommend it to their customers when the river is out of sorts. The 22 acre loch in the Scottish Borders is spring fed and one of Scotland’s oldest fisheries. Arriving on a cold and windy Sunday we were welcomed by owners/anglers Carmel & Gareth. In the spacious, well equipped, fishing lodge, we discussed tactics over mugs of coffee and shortbread biscuits. They recommended good places to fish and what fish were taking – Damsels, Cats, Apps, Bloodworm etc. The day before buzzers were doing well and two rods had a total of 21 fish to their boat, the colour green or olive being the most productive for them. The fishery was busy, every boat was out and bank anglers were casting their lines. Armed with our rods we set off in our boat, powered by an electric engine. Each boat is fitted with comfortable padded seats. I could get used to this, I thought. We headed off to the Long Stretch looking forward to fishing for the hard fighting fish I had heard so much about. The sun came out for our afternoon session. The fishery is surrounded by the golden yellow glow of gorse. The Berwickshire coastal path is about 200m walk from the Loch, where you will find the highest cliffs on the east coast of Britain. This fishery, with its accommodation, is a hidden gem in the Scottish Borders. 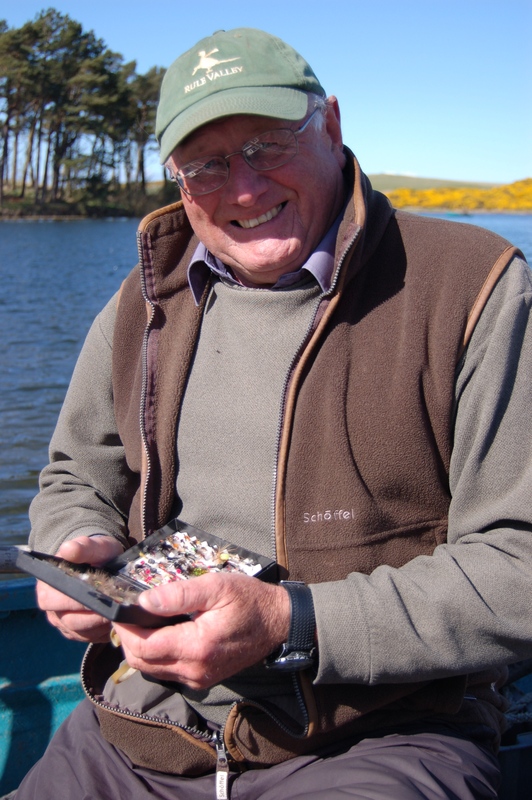 During the afternoon I watched a master class by Tweedshill ghille, Brian Palmer, who hooked into and landed 17 fish in Swing Gate Bay. I also took photographs of his bank partner , who also managed 8 fish, one in particular being a huge lump at 9/10lb. In Swing Gate Bay I too managed to hook into an elusive fish. The boats on Sunday seemed to struggle a little and the bank rods certainly produced the goods. It was 6pm when I was finally dragged off the fishery by my boat partner. I can’t remember the last time I had so enjoyed a day in a boat. 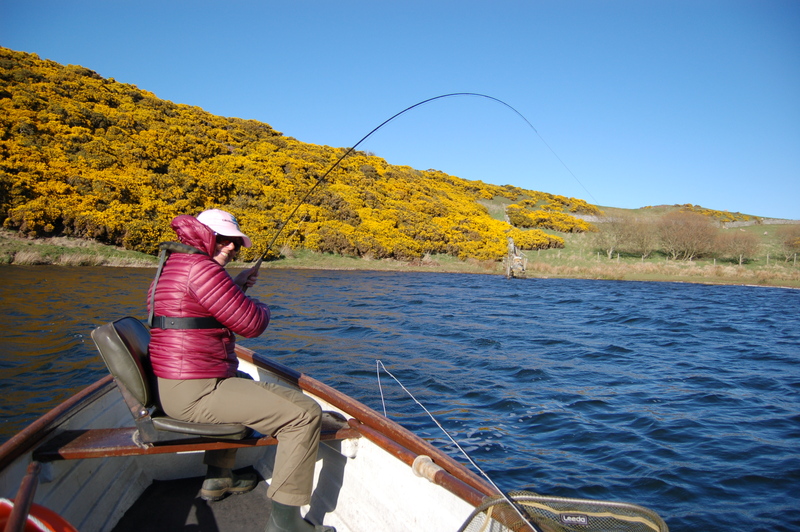 Fishing for trout at Coldingham Loch was super fun and the owners are lovely people. I will be back. Coldingham Loch also offer a range of self catering holiday accommodation in a stunning coastal location for those who want to stay and enjoy all that this beautiful part of the Scottish Borders has to offer. 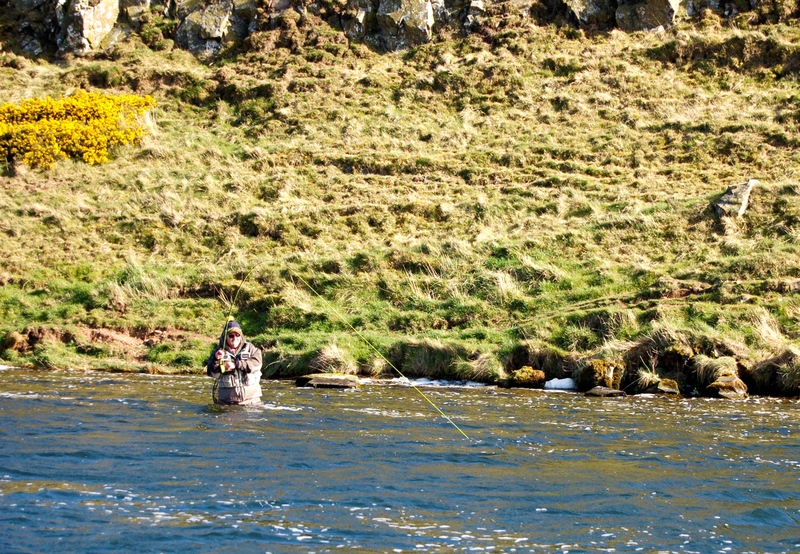 An additional benefit of taking your Scottish fishing holiday here is that we do not have the biting midges.